Sixteen colourful A4 posters to decorate with stickers and put up on your wall. You can even add doodles and drawings – just use your imagination! Outdoor fun, cosy indoor scenes, woodland adventures and high jinks on the beach. Adventures galore with perky Peppa and her family. 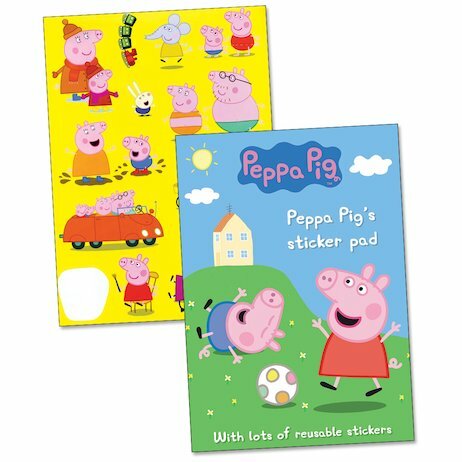 Reusable stickers let you decorate each poster scene in all sorts of creative ways.